Thar Bionics is the first company to release the Medico Legal reporting software in India. Medulla software for Medico Legal case reporting is used by Hospitals, Doctors and Medical Professionals. With a user friendly graphical interface Medulla provides comprehensive facilities to generate accurate and effective Medico Legal Case (MLC) Reports including Medical Post-mortem and Autopsy reports. n standardize Medico Legal Case (MLC) reporting. n Computerized Medical Autopsy and Post-Mortem reports creation. n Reports in clear and easy to understand language. n Clear understanding of medico legal case by all stakeholders including medical professionals, police, lawyers and courts. n graphical depiction of injuries on the medico legal case report. n reduce the manual workload by using point and click injury feature. 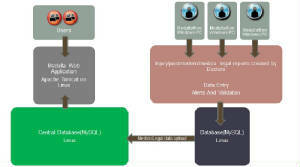 n Permanent storage and retrieval of medico legal case reports in a central database. For software Demonstration and To know more, Please email at sales@tharbionics.com.